The last thing Jack Hartman should’ve done was leave the beautiful Gulf Coast and move to the Mississippi Delta. Despite his uncle’s warnings that he is being foolish and idealistic, Jack blames himself, because he hired Blues Singer Cici Cannon and she has met with near tragedy. Subsequently, Jack also loses the love of his life, Acey Kimmons because she believes Jack and Cici are having an affair. Frustrated with the family business and his loss of Acey, Jack gives up everything and moves to the Mississippi Delta to take a job as a factory manager in order to help Cici recover. Only after his arrival does he begin to understand his uncle’s warnings. 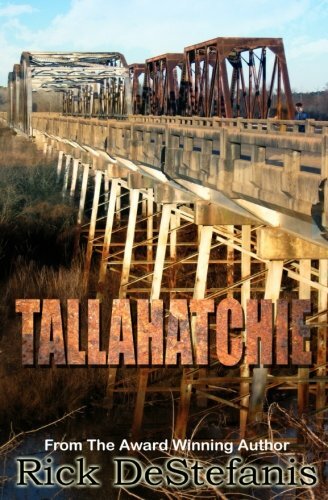 Southern Fiction and dark comedy at its finest, Tallahatchie, is aptly described as a “modern southern gothic,” story about a colorful group of rural southerners and Jack’s attempt to save the failing furniture factory where they work. With a cast of characters that become as real as they are quirky, author Rick DeStefanis weaves a tale that is as incredibly hilarious as it is tragic.